Hello, lovely people - it's been a while (again)! One of my goals for 2017 is to become more consistent with blogging so hopefully you'll be seeing a lot more of me from now on. Today's post features something I'm very, very excited about; Cath Kidston's new Health & Happiness collection. 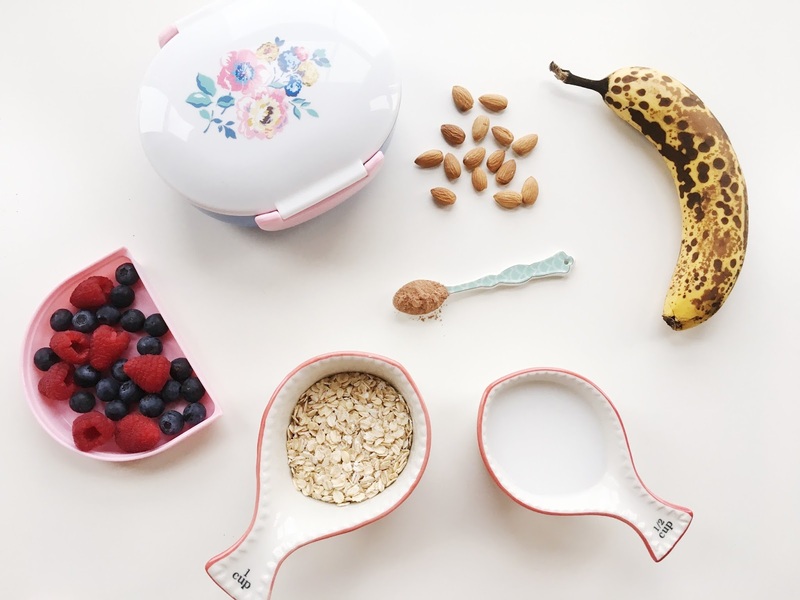 I'm an avid Cath Kidston fan and have been for a few years now, so when they told me about their new healthy living range I could barely contain myself. 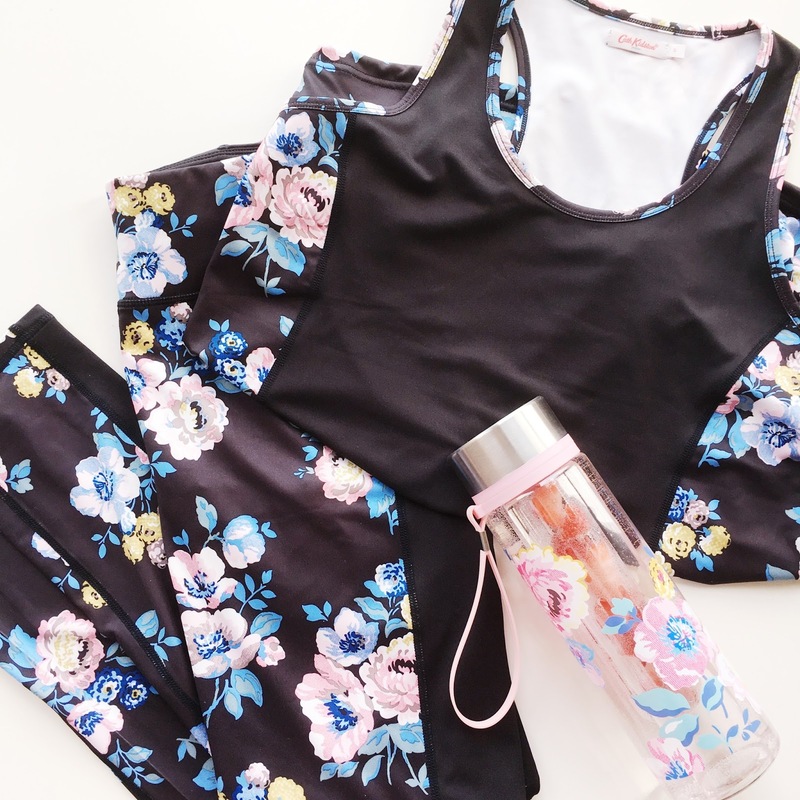 Cath Kidston's signature floral prints combined with cute workout gear? A dream come true for this girl! They've made everything from leggings and tops, to gym bags and accessories, all featuring their beautiful Wildflower Bunch print. 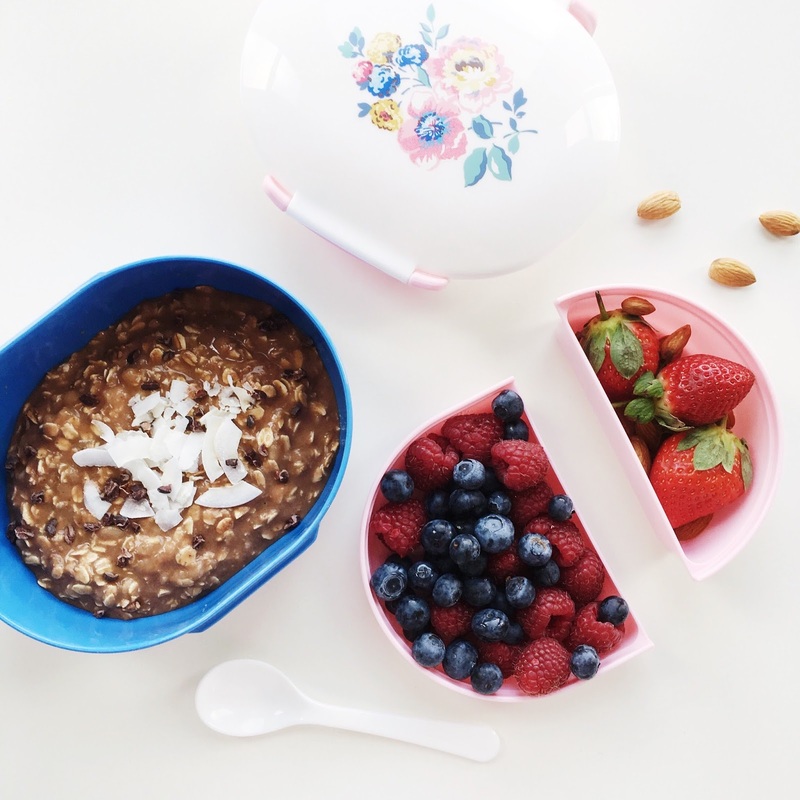 They also have a new collection of tupperware, including this adorable and oh-so-practical Bento Box. 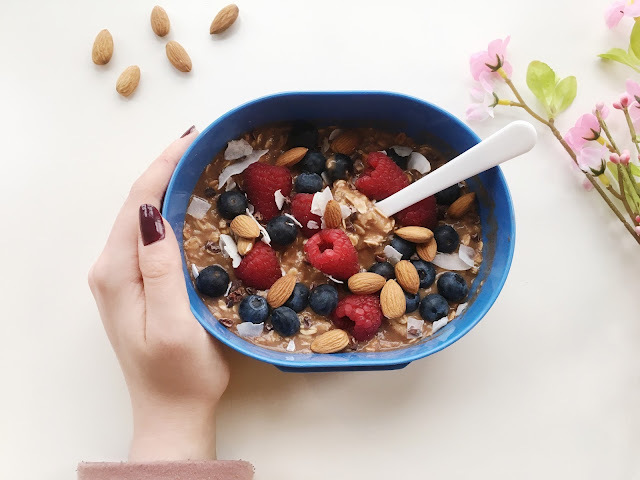 I've created an on-the-go overnight oats breakfast recipe for you all which makes great use of the box, but it's also the perfect size to take your lunch to work, school or uni in! 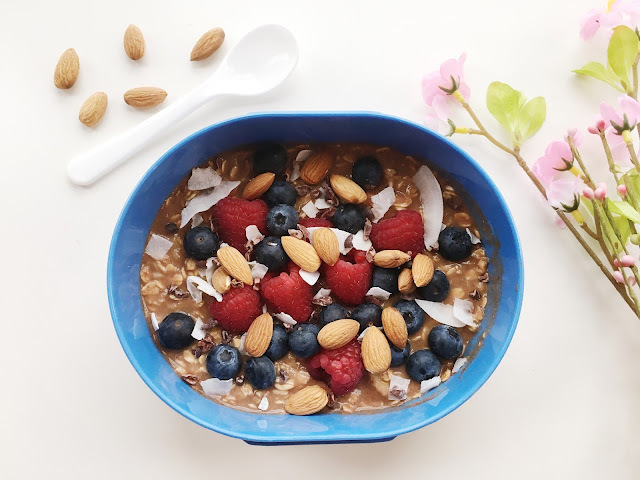 Overnight oats are a fab choice of breakfast for several reasons; they're super quick and easy to make; you can easily throw them in a container to take with you if you don't have time to eat breakfast at home in the morning; they contain fibre and carbohydrates so will give you plenty of energy and keep you full, plus they're delicious which is the most important thing! Especially when they involve chocolate because we all know that chocolate makes everything a hundred times better. Mix the oats and milk together in a bowl or container. Mash the banana thoroughly and stir it into the oats. Add the cocoa/cacao powder and stir well until everything is incorporated. 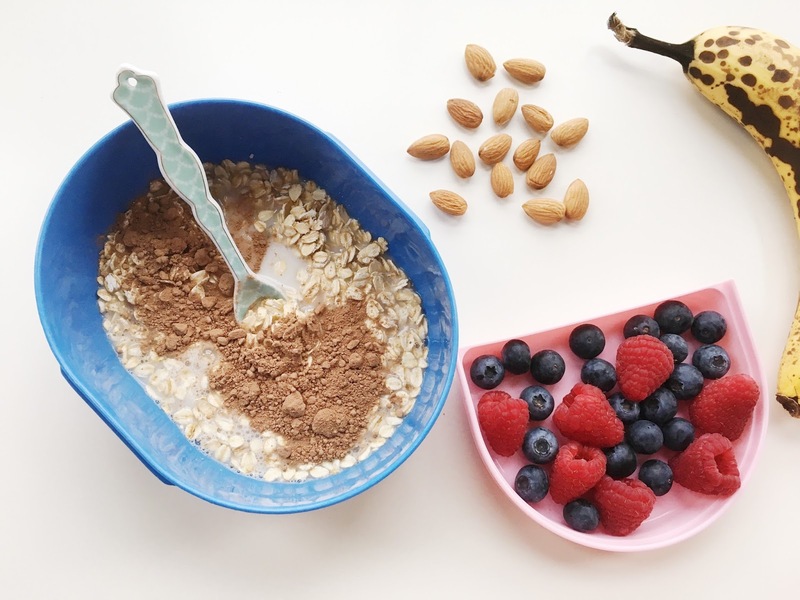 Put the bowl or container into your fridge and leave overnight. 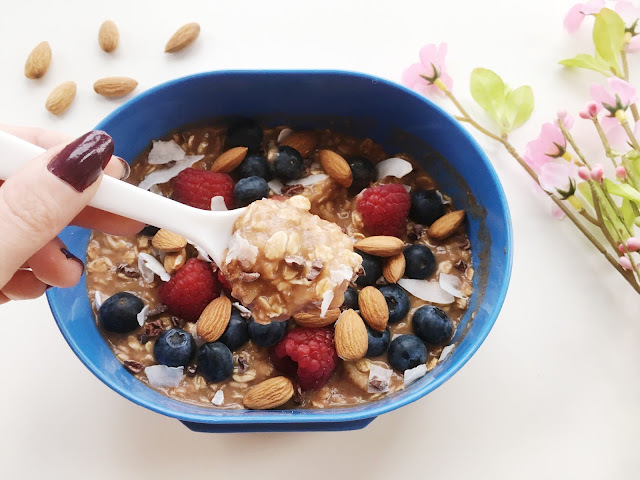 In the morning top the oats with whatever you like and enjoy! 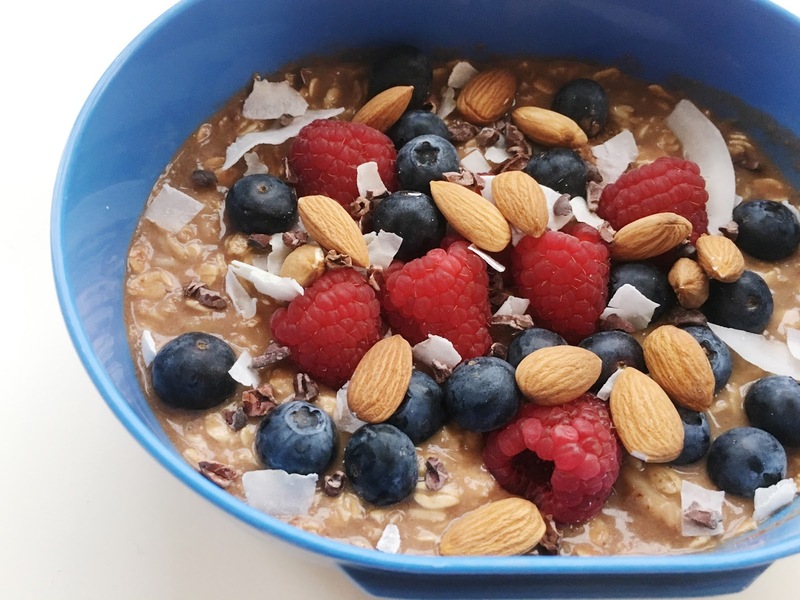 You can also throw the oatmeal into a pan for a few minutes to heat it up if you like. Nice to see this post. good one for weekend. I'm 5'8" 140-145 lbs and the small is perfect. They're fairly high waisted as well so I'm confident they will stay put. Can't wait to try the workout clothes out in yoga class tomorrow! If there are any performance issues I will let you know.